Tunstall Americas, announced today the addition of belle™ to their line of communication technologies. Tunstall Americas, a leader in independent living technologies and 24/7 call center service, announced today the addition of belle™ to their line of communication technologies. belle™ features two-way voice communication, location technology, and a rechargeable battery that can last up to 30 days on a single charge. These features, combined with Tunstall’s state-of-the-art response center, make it very attractive to active seniors who may need assistance should an emergency arise, or simply to give them a sense of security while venturing outside of their homes. Tunstall Americas owns and operates two state-of-the-art Response Centers located in Long Island City, NY and Pawtucket, RI. The centers feature high-speed, multi redundant communication infrastructures and are staffed by Tunstall’s professionally trained Response Center Operators 24/7/365. By simply pressing the belle™ emergency response button, the customer will be connected to a Response Center Operator who will evaluate the situation and determine appropriate action. 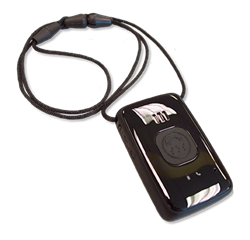 The belle’s™ built-in location technology can be used to assist responders in locating the customer in the event of an emergency. The product features a 30 day standby battery life and can be worn in the shower or bath. The product is small, lightweight, and comfortable to wear. Tunstall offers a wide variety of FDA registered Connected Care and Connected Health products such as medical alert, telehealth, and medication management products to meet the needs of all people. These products enable home based connected health services through traditional telephone lines, cellular connectivity, and the internet. Collectively, these products and services deliver a seamless connected care experience for people to help them remain independent in their own home through high-touch healthcare monitoring services. Tunstall Americas provides nationwide 24/7 connected healthcare monitoring services from HIPAA compliant call centers in New York and Rhode Island. About Tunstall: Tunstall Healthcare Group, founded in 1957 in England, is a world leader and supplier of Connected Health and Connected Care products and services. Tunstall helps people during emergencies and crisis situations 24/7/365 from dozens of company-owned and operated monitoring centers around the globe. Tunstall connects, talks with, and informs people with in-home technology and services that enhance their independence, freedom, social engagement, health, and wellbeing. Tunstall serves more than 3.5 million people every day in 51 countries.